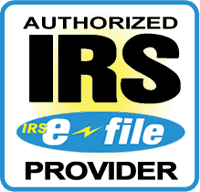 Abcon Advisors is a registered IRS tax preparer and eFiler. We perform both individual and corporate income tax return preparations at affordable prices, including both federal and state returns. All of our returns are CPA prepared and reviewed to ensure maximum accuracy on your return. Our preparation process is straight forward yet thorough to ensure there that are no details overlooked. We will walk you through the process every step of the way and keep you posted on the status of your return from submission to acceptance. There is also no need to wait to gather all your documents and schedule a meeting, we offer a secure online portal with a client questionnaire and document submission tool that allows you to send us your documents as you get them at your own convenience and allows us to get started on your return as quickly as possible.